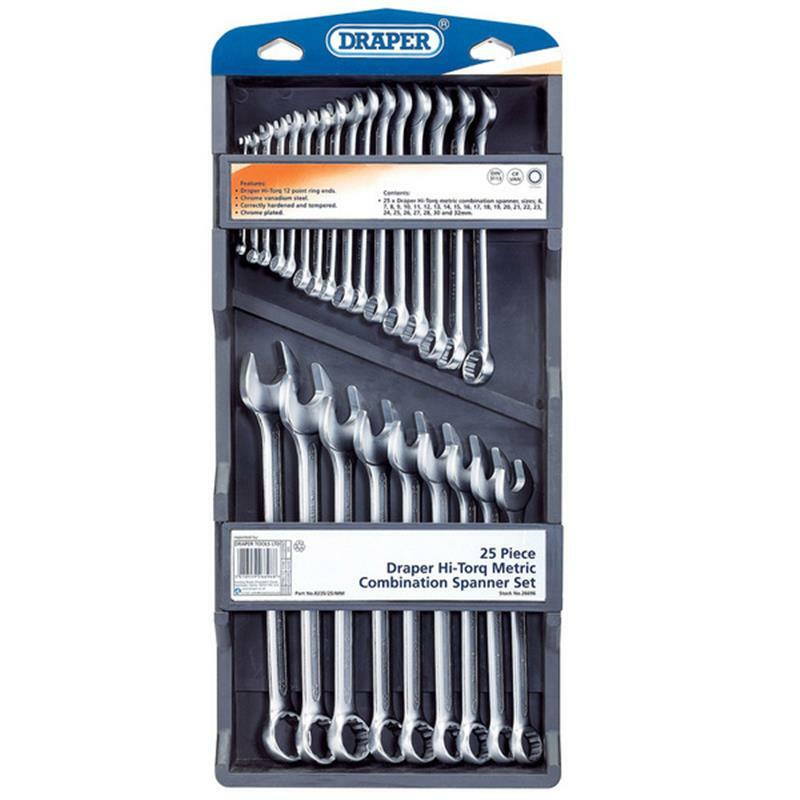 Draper 25 Piece Hi-Torq Metric Combination Spanner Set. The Draper HI-TORQ metric combination spanner set is manufactured in accordance with DIN3113. Forged from chrome vanadium steel hardened, tempered and chrome plated for corrosion protection. Polished Draper HI-TORQ ring end offset at 15°. Supplied in wall mountable plastic storage rack.